It’s that time of year where once again I choose to look back and reflect on the year gone by. It’s been busy at times with our crazy schedules and making it through to Fridays is more and more of an accomplishment then it really should be. Maybe it’s the fact we’re getting older I’m not sure but where does the time go? Mary and I have lost some dear friends this year and that always makes one think of their own mortality and what have we given back to those around us, what legacy have we left. So many things to ponder as the year end draws near. Our year of flight has been busy, more so with my Instrument rating then fun trips but we did manage to make a few. In 2007 I racked up fifty two hours and fell short of my goal of sixty by just eight hours. For 2008 I wanted to break sixty and secretly would like to have knocked out seventy five. We started off the New Year with a new airport (KLHZ) destination and flight to visit family in Louisburg, North Carolina. It was a great trip, quality time spent with family and some great cooking by my Zia Erma; wow do I miss her cooking! Another airport was added to the list as the North East Flyers invaded Orange County (KMGJ) New York. Good friends and a gorgeous flight. Mary and I joined this generation and purchased iPod nanos. Mary now has entertainment while we fly and I can listen to podcasts related to aviation when I want to kick back and relax. This month we added yet another new airport, W29 Bay Bridge. Along with the fun flying there was also the bittersweet sale of my 81 corvette in order to finance my Instrument rating; I started my IR the very next week. Sun-N-Fun! Yep, we made it to sun-n-fun although it was not in the Archer but a US Airways flight. It was a fun vacation and great to be back in Disney. One of my favorite nights of the year was sitting in Narcosees' restaurant with Mary watching the fireworks display as we did on our honeymoon while enjoying lobster and fillet. The North East Flyers “No Guts No Glory” tour of Millville Airport aircraft collection of Mr. Tom Duffy, truly a highlight of the year spending time on a private tour with chief pilot Terry Rush and the one on one time with Mr. Duffy himself. Yes, IFR lessons continued and I was making progress. This month was busy with flying, besides the lessons we had a purpose to our missions. My Goddaughter Nichole was married in Ocean City, MD the Saturday before Memorial Day so Mary and I flew to the event, so much nicer than driving. On Monday, memorial day Mary was feeling under the weather so I teamed up with Jeff from Delaware Air park for a fun day of flying to the Aviation Mecca, First Flight! What a blast! This month was mostly Instrument lessons and hours spent reading in prep for my written test. Mary and I did manage to get a fun flight in and catch up with our friends. The North East Flyers were headed to Block Island for a fun day of good eats and time spent with friends. More Instrument lessons and study time. We did manage to squeeze in a road trip to Lewes Delaware for beach and relaxation. We also added another new airport W05 Gettysburg, PA. It was a North East Flyers Gettysburg tour. Mary and I also got to spend some time with my Goddaughter and her husband, yes, the newlyweds. August was more training and I knocked out my Instrument cross country, a fun flight and I learned some good stuff. Mary and I also managed to get some flying in as we headed to Ocean City Maryland for the weekend. It was fun to spend time with our friends Pam & Ted and even looked into buying a condo right next door. This month also had us making a special run to Georgetown KGED for a crew car and crab run to Lazy Susans with my brother and his wife. Lazy Susans, really good eats and just a short hop from the airport. Many events to attend to this month. The Gettysburg meet up with Purple Board for Pilots creator Kim and local PB’ers was fun and great to put faces to the forum members. I attended the Wheels and War birds show at (KMIV) Millville, NJ. Always a great time and thanks to our op’s (Joe C) I got a front row seat out on the flight line in the op’s vehicle, very cool. I also added another new airport N31 Kutztown to the list. This was a diner stop to meet up with Bob and Rob from Wings. This airport is on its last legs and I think it will officially close in January 09, what a loss for General Aviation. What a fun month. I had the chance to finally take my sister Denise flying. She really seemed to enjoy it and next time my brother in law Dave will have to join us, he had to work. Mary and I knocked out a few more airports with our vacation to Nags Head, NC. KMQI, Dare County in Manteo was our destination and they provided great service. Nags head was a blast and we will be returning in 2009. On the day of our departure we headed south to (W95) Ocracoke for a lunch stop, worth the trip. This place is also on our four day get away vacation list for 09. PASSED MY IR WRITTEN!!!!! A few highlights this month. I finally got the chance to take Paul (co-worker) up for a flight. Paul's dad was a bombardier based in Italy with the 15th Army Air Division, Paul shared some great stories. What a nice day to fly and relax, I hope we can do it again soon. I was also involved in 679er’s annual over Thanksgiving week, what a learning experience! I can’t wait until next year. Wow, what a month! 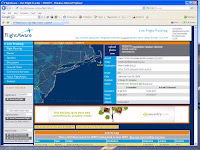 Our first trip for the month had us flying over New York Bravo airspace heading for Hyannis, MA. A great flight and landing at KHYA Barnstable Municipal just at sunset. Mary and I met up with Adam and Marisol for a nice dinner out then we all spent the evening at the Anchor-In. In the morning we all made the short hop to KACK, Nantucket to partake of the “Christmas Stroll”. A fun weekend and two new airports added to the list. It gets even better. For the last flight of the year Mary and I met up with Becky and Rob for the Christmas in St. Michael’s parade and shopping. A nice flight to and from Easton (KESN) made for a fun day. My most important “Lesson learned” for this year was on one of the first flights of the year. Once cleared for takeoff out of Salisbury (KSBY) I headed north to Wilmington. It was really nice checking out all the lights. As I approached Dover AFB I noticed the airbase got a bit blurry. I knew right then I had a cloud layer even if ever so thin between me and mother earth. I still had plenty of lights in view as I continued my trek north. This night ride taught me a few things. This was an experience all of its own as I got caught on top. I was heading north east on a 010* heading at 3500'. Looking back I should have requested a lower altitude with Dover but instead climbed to keep clear of what my strobes were now illuminating. I was approved to 5500' and off I went. As I made my way north past Dover I was now in the clear but quickly noticed there were NO lights off the nose, while looking for Wilmington. I was still south of the C&D canal so I was somewhat comfortable. I had been handed off to Philadelphia approach for the last 20 plus miles to KILG. I canceled flight following with Philly as I approached Delaware City's oil refinery. I had my way out as the refinery lights were peaking through the layer below. I was just north of the canal which is around 15 south of Wilmington Airport. I contacted the Wilmington tower to report my position and was directed to report a 3 mile left base for two seven. Turning final I asked for the lights to be brought up to medium intensity and set 679er down on center but firm. Lessons learned: Fly the Plane, work your plan, know the situation and your outs,remain night current and get more night flying time, ATC is always there to help and of course...Get the Instrument rating! Goals for 2009 - Expanding our flights west of Pennsylvania and finish up the North East States(ME,VT,NH). I wish all our readers a safe and Happy New year. 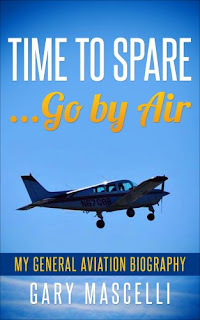 For those of you who do fly, I hope your 2009 adventures provide fun times, great memories and new friendships within the aviation community! A few more pictures of the new guy (Rudder)and his big sister Maggie hamming it up for the camera. Yes, once again it's that time of year when the jolly fat man makes his appearance and spreads Christmas cheer for children of all ages. It's a long list of who's been naughty and who has been nice, I'm just happy to be on either list and not on the usual list I seem to top. My shopping is complete Mary should be a happy girl when she rips through the wrapping paper. My lovely Bride loves the holidays, heck, loves birthdays and all that stuff. I'm happy I got up on my birthday, I figure it's a great start towards the next year. As for Christmas all I can say is I really enjoy watching Mary get excited and to see the kids get all wide eyed. I must admit I did secretly send Santa my pilot toys wish list in hopes of fun things for flying and gadgets to keep me occupied. Mary enjoys the shinny things; silver, gold and gemstones and if she has been a good girl like she tells me I'm sure Santa will fill her stocking with goodies and leave her a few gifts to open. From our home to yours, Mary and I wish each and everyone a very Merry Christmas!! The Metar at Wilmington called for winds out of the north west at seven knots and few clouds at 4,300. Mary, Jaime and I climbed aboard 679er to keep warm. I called clear prop and 679er did not sound happy as she grunted out a few turns of the fan. I gave a few more shots of primer and gave it a second go. 679er tried to start but she was not liking the cold any more then her three passengers. I went through the process again and this time she turned a few revolutions and fired. Oh she was rumblin' and stumblin' and I had the rpm's at five to six hundred as she worked to warm that oil and her cylinders. It's times like this I really wish we had a hangar for our girl. We were just past two tenths on the hobbs as the oil temp needle climbed into the green and I slowly raised the rpm's. I made my call to Wilmington ground for taxi clearance and off we went. I pulled the video camera so I could have a better view looking for the airport so no video of my landing.I was holding 1,500 just above pattern altitude until I had a visual and was ready to enter as directed. Finally at 5 miles I see runway two four and position for my right base on three three. I advise of my position and am cleared to land. Not a bad landing at all and a nice smooth run out to taxiway Bravo. As I taxi clear of the runway I hear Rob receive clearance to land. I try to slowly taxi back but we are turning left on taxiway Alpha and miss he and Becky landing. Rob and Becky walked into the Terminal and J eff and his group followed. I signed for the rental van and we all piled in anxious to get to St. Michael's. Jeff tried for the courtesy car but it was a no go for the day, he had a plan B ready with a rental car reserved. The van was ready and once Jeff was in his car we headed out. I blew right through my right turn for St. Michael's and had to make a u-turn down the road a piece. Rob got me squared away and we were soon entering main street with all the decorations and shops. We found a great parking place behind one of the churches and Jeff pulled in alongside. That's pretty much the last we saw of Jeff and his group, they were off to find a seat for the parade. Our group headed for the shops, go figure. Just kidding ladies it was the plan, I know. Mary, Becky and Jaime hit the very first store on the north side of the street and it was game on from there. Rob and I took in the parade snapping pictures talking flying and freezing our tails off. We did duck into a store on occasion but only to keep warm, there was no thoughts of shopping for us. The parade featured marching bands from the local high school and a few others. There was the rough riders on some very pretty horses, antique cars and trucks, boats, tractors and yes, even a few fire trucks. Let's not forget the big man himself, jolly old St. Nick. I guess start to finish the parade lasts about an hour. Good fun, really nice crowd and it raises money for a good cause. The ladies didn't get to see much of the parade their focus was on the shops but Rob and I have some nice photo's to post. We made a stop for lunch at the Carpenter Street Saloon (file photo). Mary and Jaime had cheese steaks, Becky and Rob had cheese burgers and I had the Talbot street burger with cheese and mushrooms. The food was good and the service too. Thanks Jamie for picking up the tab, that was very nice of you. I'm glad you at least let the men leave the tip. About now our day sounds like it was winding down, or should be, right? Ho Ho Ho, not so fast my readers there is still the south side of the street and a bunch more shops. That's right the ladies knocked them out one by one as Rob and I searched for the sun like two stray cats trying to keep warm. Note to self, shop in reverse next year so we have the sun late in the afternoon instead of the shadows of the buildings. The end was in sight, yes the last few shops were finally at hand. The men went to get the van and of course we wanted to have it nice and warm for the girls. We cut through the church parking lot and got our ride warmed up and repositioned on the main drag just a few shops up from the last known location of the shopping whirl wind trio. While we sat in the warm van these three gals came by and asked us for a lift, we gave it some thought, then let them climb in. It was a fun day and time well spent with friends. Mary and I are looking forward to the next time we can all get together. We made our way back to the airport and you guessed it, I made a wrong turn. Yes, we made it back and while the men pre-flighted the birds the ladies sat and chatted in the airport terminal. Rob made a call for an updated briefing and I stood by listening, I was interested in any pop up TFR's but we were good to go. A few pictures were taken on the flight line then we loaded up for home. Rob called for his taxi clearance and I followed. We had to hold short of runway six - two four for a twin engine FAA Flight Check aircraft making a low pass. I did my run up while waiting since my six was clear. Each of us were now cleared to cross the runway and proceed to the run up area. I went around Rob since he still had to complete his run up. I had to hold short for a Cessna aircraft on short final then I was cleared for takeoff. The video was pretty crappy until I was almost to Dover but the audio was good. I noticed I had the zoom cranked up and that caused the blur while in flight. Some where around the 5:20 mark or the start of the second video clip I notice the problem, the zoom that is, and finally get it squared away. I hope you enjoy the audio/video and the photo's from our fun day! Check Out Robs Flying Adventures web page for more photo's and his write up. Part I is best for audio only, Part II picks up in flight west of Dover Delaware and has our landing into Wilmington captured. You can pick up Rob's radio work with ATC, he is flying Cessna 569er. Mary and I were glad to be home. We were going to attend a Christmas party this evening but we both were beat. The Bride actually hit they hay around 8:30 and following my blog update I followed suit. My brother and his wife called, said they were out and about and thought of stopping in. I had to say the two old farts were headed up to bed. I haven't heard the last of this, I'm sure. What a great evening with Adam and Marisol last night. I've said it before and I'll say it again the cost of learning to fly has been worth every penny spent when we can spend time with friends. As the TV commercial puts it.....and I'll relate to aviation. I'm not sure who fell asleep faster, Mary or yours truly. The rooms were very clean and comfortable. The bed was soft and the room heater worked very well, we were not only toasty but snuggled like two bugs in a rug. I woke up at 3am, sat up, and said holy crap I forgot to put the cowl plugs in the plane, my poor Bride. With that thought stuck in my head I tossed and turned for a bit and once again fell victim to the sandman. I was up by 6am looking over the wx and reviewing my flight plan for home. The forecast was calling for snow and scattered showers moving in around 4pm and I wanted no parts of the white stuff or the poor visibility that comes with it. I also had the Presidential TFR over Philadelphia to deal with. The Dell computer I received (early) for my birthday is great for travel and fits in my flight bag, so flight planning is a snap. The Anchor-In had a very nice set up for the continental breakfast. Mary and I made our way to the kitchen area around 8:30 I think. We had bagels, I had cereal and Mary had some mixture of yogurt and dried cranberry's, healthy stuff I would guess. I had called Adam around 7:30 and gave him the update and news that we would be leaving Nantucket by 12:30 due to headwinds and wx. Adam and Marisol soon joined us for breakfast as we all sat along the large glass doors that overlooked the pool and harbor. The sun was warm and felt great, the bright blue skies gave hope of a fun day ahead. We loaded up the grey beast and checked out. Adam got us back to the airport in no time at all. It was a different route that I came in on but never the less it worked and was much quicker. The folks at griffin were really nice to deal with. Adam and I each preheated our planes and had the task of toweling of frost, it wasn't to bad. Where were the ladies you wonder? They both were warm and toasty in the FBO no doubt chit chatting and waiting for their rides to be made ready. 679er took on 14.5 gallons so I had to sump the tanks as part of my preflight. The preheat charge was $20 and it was worth it. It was time to saddle up and head for Nantucket so we started up and called for our taxi clearance. We were cleared to taxi to the run up area and then call ground when ready. There was an Island Air Cessna 421 doing a run up to my far left and Adam's Beech Skipper to my immediate left. We all completed our run ups and I followed the Island Air Cessna out taxiway 'A' to runway 33. The island Aircraft turned off for the terminal so I was now number one to go. I was cleared to take off and climbed out with a left turn on course approved, Adam followed suit. We had decided to follow the south coast of Cape Cod, cross over to Martha's Vineyard then turn to Nantucket. It was the long way but provide some great views and gave us the added protection of more land vs water. I flipped over to Cape Approach and heard Adam call for flight following. I called multiple times and got no response, oh well I'm on my own in this busy airspace. Mary and I both were eyes outside and heads on a swivel for traffic. I knew Adam was a short distance behind me so I would listen for any traffic call outs he got and search from there. We crossed MVY and turned to Nantucket so I again tried for flight following, no go. I was wondering if Nantucket tower would take me with out being sequenced in by approach, I would soon find out. Nantucket tower Archer 28679er 11miles west inbound full stop with (current ATIS). No problems, radio IS working and I am directed to enter left down wind runway 33. As I get closer I hear Adam directed to enter a right base for runway 24 and I get changed to a right base for 15. I receive clearance to land and set 679er down slow and smooth. My directions are to make a 180 and hold short runway 6-24 for traffic landing, I acknowledge. I watch a jet land then I am cleared to cross in front of Adam now on final. I scoot across the runway and now the fun begins. The taxi diagram I have shows me all I need to know but ground directs each aircraft where to turn. You get something like....Archer 679er proceed taxiway ?? left turn ??? right on ??? to park in the grass. No problem right? One problem, that's the wrong way! Ground had me do a few 180's since he didn't know his right from his left. Meanwhile, Adam landed and taxied off now holding short for some guy doing donuts on the taxiways...(me). Adam gets instructions to follow the Archer to parking but then gets an opposite turn like I did. It was crazy, someone needed to show that ground controller how to hold both hands up, extend the thumbs and see which hand makes the correct 'L', I was getting dizzy. We finally got parked and took the shuttle ride back to the terminal, he didn't get lost or turned around, there's hope. I had the tanks topped off since we were going to be into the headwind all the way home. I took only six gallons, two of that burned on the ground following directions, ok that's my last ground controller jab. The taxi's were lined up just outside of the building where the pilots had to check in. Things seemed to move very quickly and with order, good job to the gal's behind the counter. The van would take six but the group was a bit larger since we met the Grumman gang folks and a few others. The taxi ride was short to the waterfront and all the Christmas stroll activities. Once we all piled out the smells of the food tent lured us in. Shopping was put on hold so that we could all get our fill of Lobster salad roll. Good stuff, I could have eaten a few of them but thought better of myself not wanting to empty the pots. I think a few folks in the group had soup which smelled fantastic, it was a whole new high for this foodie. The shops were all decorated and Christmas tress lined the streets as we made our way up the cobblestone streets. Well, most of us did, Marisol had to stick to the brick crosswalks so her boot heels didn't get stuck or twist an ankle. I will say she was pretty good about scooting across on her toes when she did hit the cobblestones, I don't know how you ladies do that. The ladies hit the first shop and Adam and I passed on entry, however, that plan really had no affect on their shopping. It was worth a shot. We crossed the street and soaked up the sun watching the crowds pass by and wondering when the ladies would emerge from the stores. Adam had commented that maybe somehow the stores connect and they'll come out up the street. Obviously us men have been subject to women shopping way to long, we're starting to try and rationalize how they shop and move about. The scary part was they did come out at the other end of the block and the stores were indeed connected. I still think it's a whole new strange shopping cult with interconnecting tunnels and addicting shopper specials that always advertise with the key cult buzz words, sale - reduced - going out of business, I may be wrong but, I'm thinking not. No sooner then we got started it was 11:45, time to head back to the airport. I wanted to stick to my 12:30 departure time with the forecast dancing in my mind. We said our goodbyes and hopped in a cab. Mary and I both wanted to spend more time with our friends but we had to go. We checked in at the airport and settled up my fuel bill. Last potty stops for the three hour flight completed we jump on the shuttle for the quick trip to the grass tie down area. The main ramp was packed with every jet you can think of, there wasn't much space left for the folks arriving late. I called for an updated wx briefing and filed my VFR flight plan for the Temporary Flight Restriction (TFR) entry into Wilmington (ILG). Preflight and briefing complete we saddle up and get the party started. Ground gives us taxi clearance to runway 24 and we're off. Run up completed we are directed to hold for aircraft landing. We patiently sit and watch a hawker jet followed by a king air. I am directed to position and hold (I hate sitting on the runway) and do so, waiting for the king air to clear. Archer 28679er cleared for take off runway two four. I acknowledge and push the throttle forward. We are climbing out enjoying the view with a planned altitude of 4,500 to buck the least headwind. Across the Block Island sound and pointed towards Groton, CT we shadow the coast. I was dodging cloud layers from 3,500 to 4,500 and didn't bother to think over the top at all since it looked worse. The time clicked by meeting our checkpoints real close to our planned times and trudging along west. Cape approach handed me off to Providence approach then on to New York approach multiple times. I decided on taking the north route around the NY Bravo airspace and even though it was a longer route it was shorter time at my altitude. The headwinds were much stronger at higher altitudes. 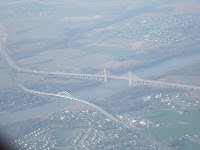 Finally we cross the Hudson river and I start my turn to the s outh west and eventually south towards Allentown (KABE). Our flight path crossed the active flight path into Newark's Airport (KEWR). I watched heavy after heavy cross overhead and dodged a few corporate and regionals too. It was a serious head on a swivel trip. I was finally handed off to Allentown approach and given the super duper secret squawk code to enter the TFR around Philly. Life was good or so I thought when less then ten minutes along ATC calls, Archer 28679 I have some bad news for you. Great, I'm thinking we are not getting home. Sure enough Philly told Allentown no more VFR traffic into the TFR. Approach inquired as to what my new plan was. I advised our new destination would be Chester County (KMQS) and I'll worry about transportation later. Approach said he would work on Philly, I thanked him. He was the man of the hour, as he let us know we were good to go the TFR had ended, turn on course direct ILG contact Philly on 124. something. Yeah !! I thanked him for all his help and wished him a good day. I called Philly and advised three thousand level. I was cleared into the bravo and to proceed direct to ILG, advise airport in sight. I advised about eight miles out that I had Wilmington and he turned me over to the tower. It was so good to hear the controllers I knew and see runway one nine dead ahead over the nose. I reported a four mile final as instructed and greased my landing, it's good to be home. We taxied to our tie down and I dialed up Aeroways for fuel once we left taxiway Kilo. We didn't have to cover 679er this evening (getting cleaned and repaired) so it won't take long to secure. As I pushed back and Mary locked the tail tie down cable it started to snow. What timing, light flurries as we are finishing up. Mary left in her car but brought my SUV in for me first. I wanted to check on the fuel load and my calculations, 679er took on 27 gallons. Not to bad fighting that headwind and only burned 9 gallons an hour. A great trip, fun time with friends and a safe return. 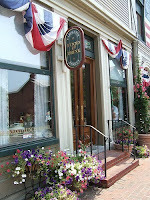 We look forward to vacationing on cape Cod next spring or summer.